Ferry Company Stena Line has achieved another important milestone in its major new fleet investment programme with the ‘launching’ ceremony of the first of its next generation of RoPax vessel taking place at the Avic Weihai Shipyard in China. 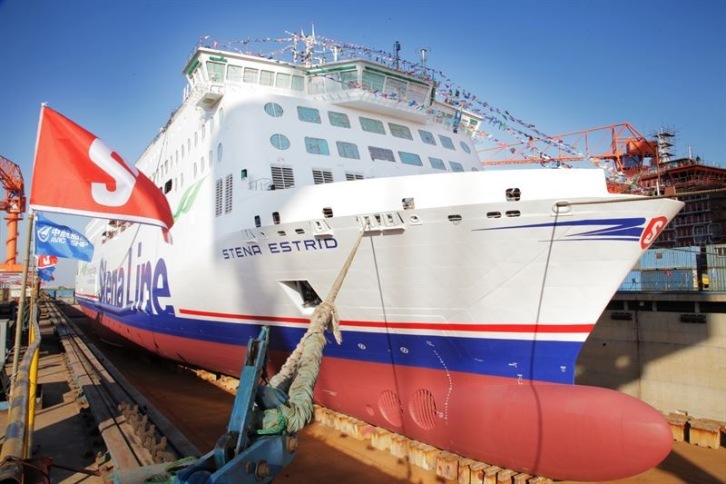 * Stena Estrid is connected to Stena Line’s Scandinavian heritage and Estrid is an Old Norse eastern-nordic version of the name Astrid. Estrid is commonly found on old runestones and meaning divinely beautiful.